A category can be selected by touching the circles. Interface screen with category summary screen open. Interface screen with image asset open. Interface screen with video asset. Interface screen with video asset playing. 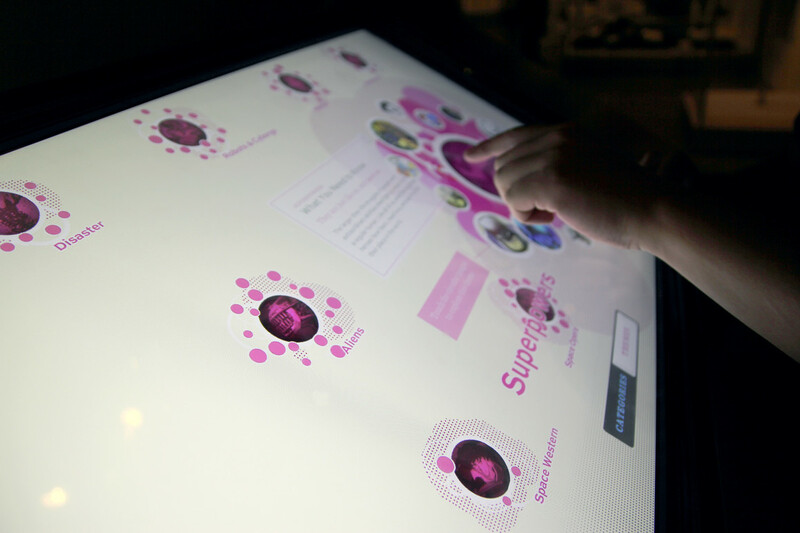 Belle & Wissell was commissioned to design a touch-screen interactive for “Icons of Science Fiction”, an exhibition at EMP Museum in Seattle. 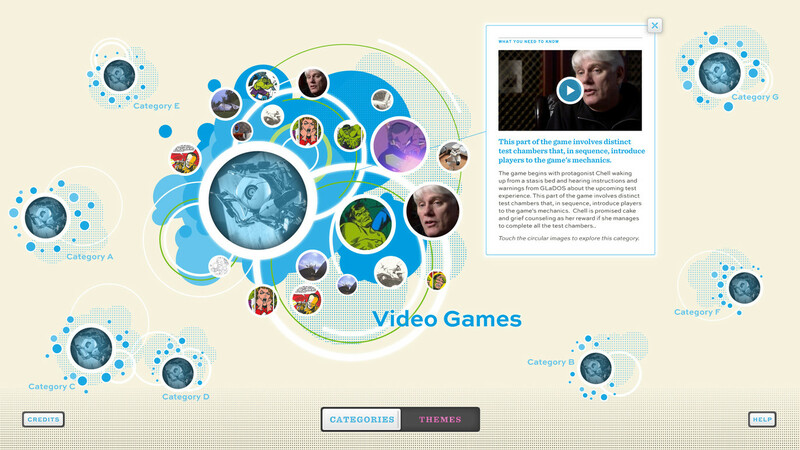 The interactive station provides users with ways to explore a wide range of digital sci-fi content, and presents the sci-fi novice with ways to make this content more understandable and accessible. Visitors can filter their process of disovery by either categories or themes—each option giving a new perspective on EMP’s digital offerings with still and video examples within each. 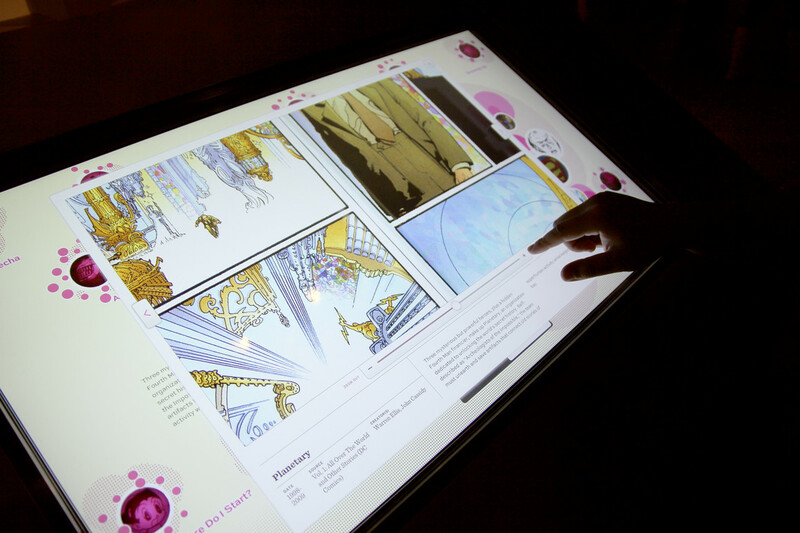 Touchstation content is edited and added over time by EMP curatorial staff and published to the gallery via a content management system built exclusively by Belle & Wissell for EMP projects.